Stuck in a human/barbecue relationship rut? 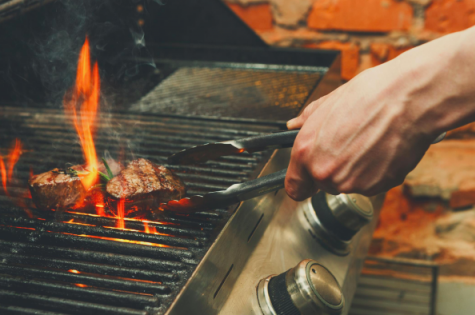 Your barbecue probably doesn’t tell you often enough (if at all), but things could be a lot more interesting in your relationship with a little bit of work and attention. After all, when was the last time you really tried to do something new and exciting together? The following tips are aimed at putting some zest back into this enduring (and mouth-watering) relationship - without the need for expensive and slightly awkward intervention. Why spend your precious down time toiling over a barbecue which no longer cooks as well as it should? If you want to raise your barbecue game, it’s worth investing in a barbecue which gives you the best bang for your buck. Consider the type of use you make of your barbecue. If you’re a frequent outdoor chef looking for professional results, you might consider a char broil bbq. A bigger investment for a barbecue which fulfils its potential will reward your effort more over the longer term and help you to develop better technique. If you’re an occasional coal-master, a smaller high-quality kettle style barbecue might be the investment most suited to your needs. As with any purchase, you get what you pay for. A short term saving can bring lower-quality results. Another bad barbie-cue is serving up the same old fare, year after year. If you’re looking to improve your barbecue repertoire, skip the snags and embrace a range of more complex, interesting flavours. Barbecues are able to cook items as large as roast meats, and some even come with rotisserie attachments and trays. Be as brave with your choices as you desire - think big. A barbecue is not limited to the grill surface area. Flames can be used to ‘smoke’ vegetables with skin (think of eggplant in babaganoush). A coal barbeque can have food items placed directly on the coals (foil-wrapped fish and vegetables is particularly delicious done in this fashion). Let’s say you’re a fairly inventive cook, and you have a barbecue which is suitable for your needs and usage. How’s your technique? Do you know the difference between blue and red when it comes to cooking your meat? Do you know how to best time different items so that they’re ready at the same time? Technique can be the difference between a good barbecue and a superb barbecue. Technique can elevate a piece of steak into something worthy of a podium. How does a person learn technique (other than lots of practice)? The answer is closer than you might think. Youtube and online resources can provide you with excellent tips and advice when it comes to getting your grill on. Start by searching for basic technique information (eg; seasoning, resting, cooking tools) and work your way up to more complex, expert techniques. Cooking for one? There’s no reason you can’t bring the barbecue into your everyday cooking adventures. Frying solo gives you even more excuse to experiment, and can lead to ever more exciting culinary adventures. Barbequing is also an ideal meal preparation method, as it allows more food to be cooked at once, which is great for anyone trying to prepare a bulk amount of food ahead of schedule. A barbecue is much more than a hot griddle - it’s a window to exciting, fresh food. By improving your technique and investing in the right barbecue for your needs, you can get back to cooking in style.